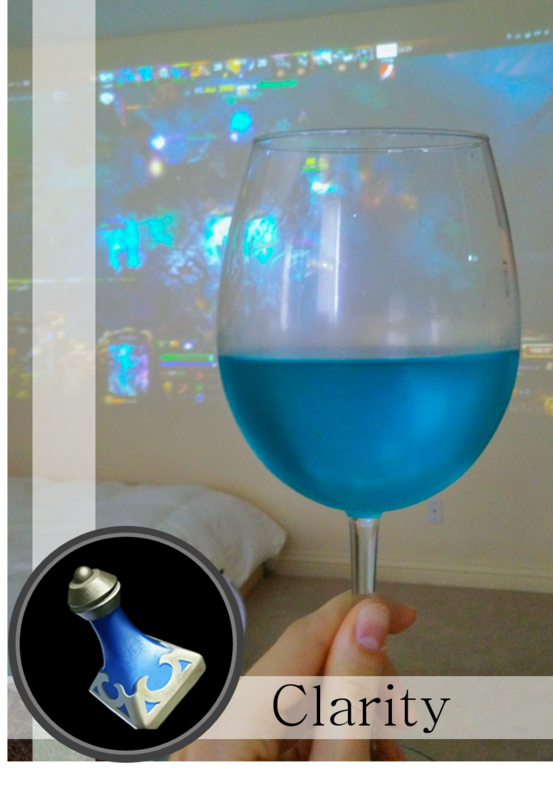 I haven’t tried whether this blue sangria enhances my meditation, but it certainly complements watching DotA. Use an inexpensive white wine. 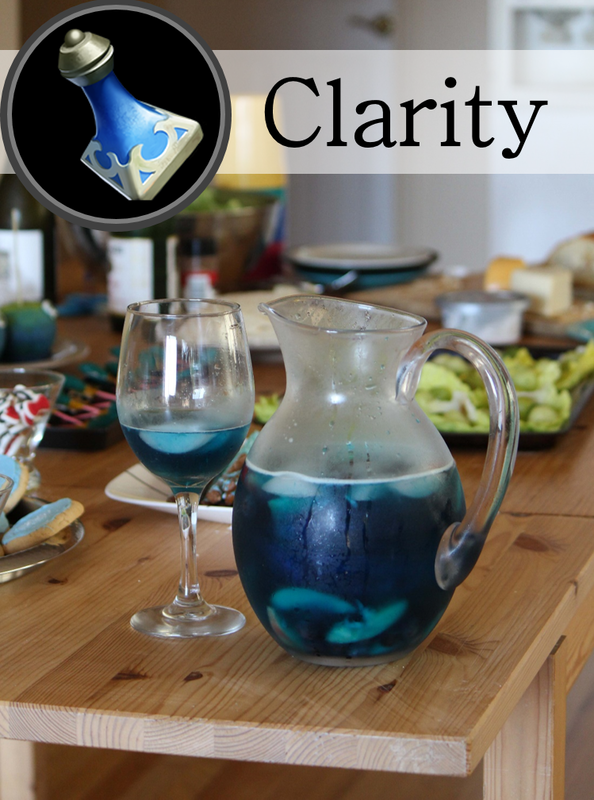 If you don’t have curacao blue, you can replace with regular triple sec and blue food dye (or green, if you want to make salves instead!). 2-3 fresh peaches, apples, pears, nectarines or similar fruits, or frozen equivalent. 1 cup clear, light-colored soda or juice. For example: peach juice, white grape juice, sprite. Slice the fruits into pieces small enough to fit into a glass, and put into a pitcher. Sprinkle in sugar and Blue Curacao. Cover, and let sit for 3-4 hours. Add the ice cubes. Pour the wine and juice over top. Stir & chill until you are ready to serve. This sangria is beautiful and tasty, but quite strong and sweet. I was glad to have non-alcoholic “salves” and low-sugar snack options to counter the sugary booziness of this beverage. If you’re in the market for something colorful, sweet, alcoholic and geeky, this is the recipe for you. Check out more colorful & geeky cocktails and drinks, like this beautiful red Mad Hatter Tea Party mimosa or this fizzy cocktail inspired by murder suspect Ms Scarlett.